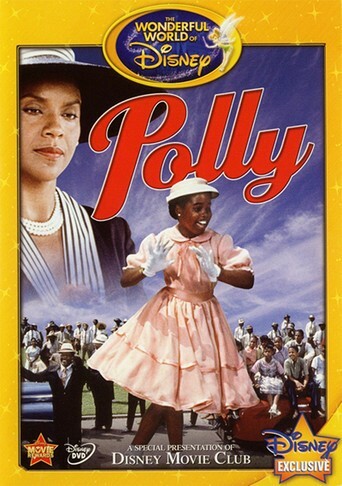 Polly (television) Two-hour television movie; aired on November 12, 1989. Directed by Debbie Allen. An adaptation of the Pollyanna story as a musical with a African American cast. Stars Keshia Knight Pulliam (Polly), Phylicia Rashad (Aunt Polly), Dorian Harewood (Dr. Shannon), Barbara Montgomery (Mrs. Conley), T. K. Carter (George), Brandon Adams (Jimmy Bean), Butterfly McQueen (Miss Priss), Brock Peters (Eban Pendergast), Celeste Holm (Miss Snow). The repeat airing of Polly on September 9, 1990, marked the final episode of the Magical World of Disney.